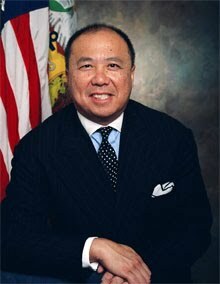 Yesterday, the U.S. Mint issued a press release announcing that Director Edmund C. Moy submitted his resignation effective on January 9, 2011. Moy was appointed as the 38th Director of the U.S. Mint in September 2006 after being appointed by President George W. Bush and being confirmed by the Senate. His five year term was to expire on September 5, 2011. In his remarks, Moy said, “I’m proud of the progress we’ve made over four and a half years. The Mint is a better place and delivering more value to the American taxpayers.” However, the failures of the public face of the U.S. Mint was very evident during Moy’s tenure. From problems with the U.S. Mint’s website to the debacle over not having enough bullion planchets to meet demands of investor and collectors, there is enough to question how successful Moy’s tenure was at the U.S. Mint. The U.S. Mint has had missteps in customer server that anecdotal evidence of the comments that appear in my Inbox suggests has not been resolved. In fact, a search of any of the online collector’s forums will show that customer service has not improved in the last two years. Finally, I have questioned Moy’s leadership ability to manage the U.S. Mint when the Fiscal Year 2009 Annual Report showed that U.S. Mint’s operating costs rose significantly in FY09 even though the demand for its products were reduced. In my analysis I noted that in FY09 it cost the U.S. Mint 1.1-percent more to produce 40-percent fewer coins than in FY08. CEOs have been fired for this type of negative turn around! It has been recent history that appointed members of an administration resign their posts at the end of the president’s term. Moy did not resign opting to try to fulfill his term. Over time, I have accused Moy of being more of a bureaucrat than a leader. This was a change from his predecessor, Henrietta Holsman Fore, a Bush appointee who had experience with manufacturing in the private sector and a history of successful government service. With Moy’s resignation, President Barack Obama has the opportunity to appoint a new director with the skills to manage the world’s largest coin manufacturer. In an open letter I wrote when he was President-Elect I suggested that the next Director of the U.S. Mint be a leader whose experience includes manufacturing, supply chain management, and customer service. I realize that this may not be a top priority for the president. In the current political climate, it is possible that the appointment will not be made until after the holidays. Even if the president was to announce the appointment tomorrow, the lame duck session is about to end meaning that the confirmation will be taken up by the Senate of the 112th Congress. In the mean time, Deputy Director Andrew D. Brunhart will become acting U.S. Mint Director. Brunhart, the former General Manager of the community-owned water and sewer company in the Maryland suburbs, may not be up to the job based on his performance at the water and sewer company. The business infrastructure at the water and sewer company has continued to under perform based on the policies and structure he left leaving questions as to whether Brunhart could manage the U.S. Mint for an extended period of time. I wish Ed Moy success in his new endeavor and enjoy the coffee out in Seattle. Even though it is more of a tourist destination, the Pike Place Market is still one of my favorite destinations and hope you enjoy it as much as I do. Just watch for the flying fish! Portrait of Ed Moy courtesy of the U.S. Mint.